The Redi-Gril heavy-duty grill scraper is the industry choice for cleaning commercial and restaurant grills. With this high-quality heavy-duty metal grill scraper, cut cleanup time and effort in half and remove food and grease buildup that can ruin grill surfaces. 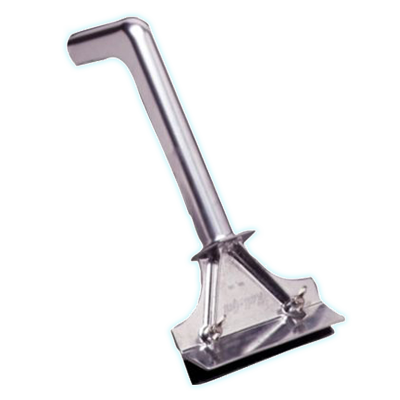 Designed for use on flat top grills, the heavy-duty scraper is tough enough to remove burnt residue left over from virtually all types of food products. Blades are easily replaced without tools. Removes food and grease residue that can ruin or damage your grills. Prevents flavor transfer of burnt foods. Cuts cleanup time in half! Dishwasher safe for fast, easy cleaning. ​Disposable and resharpenable blades are available.